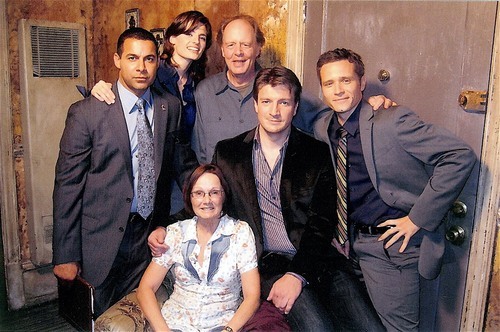 Stanathan and Castle's cast-BTS. . Wallpaper and background images in the Nathan Fillion & Stana Katic club tagged: photo stanathan caskett. This Nathan Fillion & Stana Katic photo contains बिजनेस सूट, सूट, कपड़े का सूट, ड्रेस सूट, पूरी पोशाक, tailcoat, पूंछ कोट, पूंछ, सफेद टाई, सफेद टाई और पूंछ, पोशाक सूट, पूर्ण पोशाक, टेलकोट, पूँछ कोट, and पट.